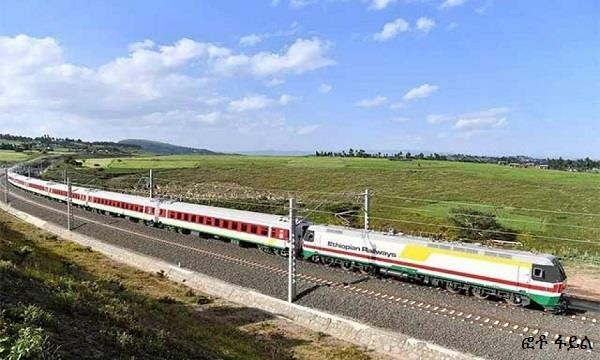 Djibouti bound freight train reportedly derailed in Eastern Shoa zone, South East of Addis Ababa, state broadcaster, EBC, reported on Thursday citing Ethiopian News Agency. The accident happened at 3:00 o’ clock local time and authorities linked it to heavy rain which buried the tracks with soil. There are no reports of causality but the train is damaged. Train had 17 cars and three of them are completely damaged, according to the report. One Response to "Ethiopian train heading to Djibouti reportedly derailed"
In my layman’s thinking I find it difficult to imagine that world renowned railroad engineers (Chinese) did not take into account the phenomenon of “heavy rain” in a country known for its rain — at least it used to be. I have a nasty feeling that the well known attitude of advanced, sophisticated, civilized countries towards the backward, uncivilized Africa may have something to do with the undying attitude that “anything is good for Africa” with the usual hurtful and demeaning ‘logic’. IT HURTS; it really hurts. In this case, one may wonder whether there are truly deeply qualified indigenous railroad engineers in Ethiopia. If the answer is YES, one is challenged by unhealthy questions that follows — without uttering the words!!!. I better STOP here.